Pebble arrived to New Hope in September of 2018 with her mom and several other brothers and sisters. 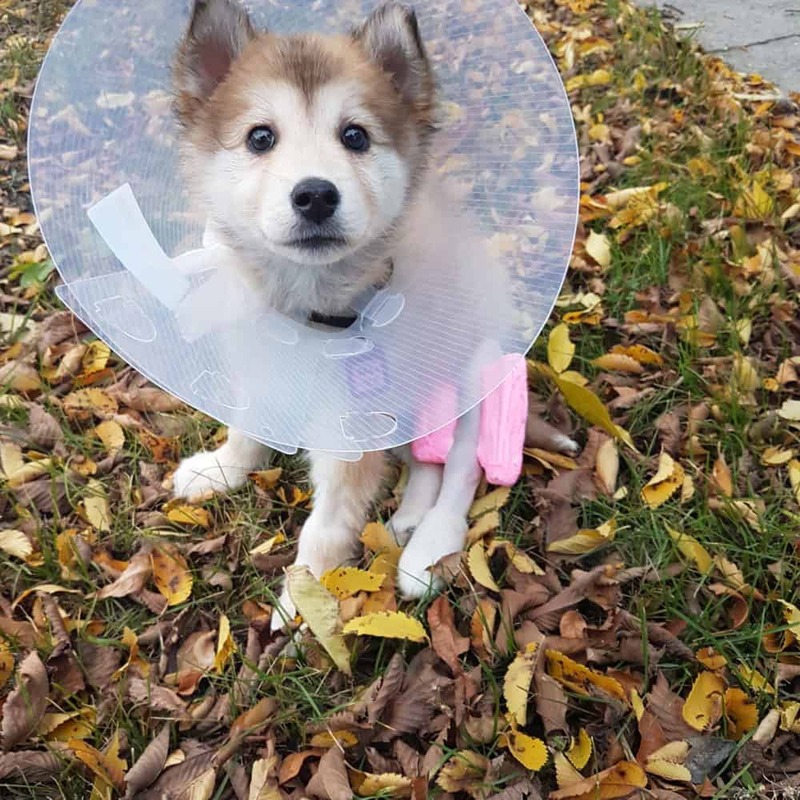 After spending a couple of weeks with New Hope, one morning her foster family noticed she was in extreme pain and wouldn’t put any weight on her hind leg. Pebble was immediately taken into the vet where it was discovered she had spiral tibial fracture. She was taken into surgery the next day to repair her leg for placement of an external skeletor fixator to stabilize the fracture. This consists of four pins that pass through the bone (2 above the break and 2 below the break) and are then anchored to a rigid material to form an external fixator. Pebble had to wear this fixator for 3 weeks. At the 3 week mark x-rays were repeated and her fracture has healed. While we’re delighted to announce that Pebble has been adopted, we’re still trying to raise donations to help pay her medical bills, as well as raise funds for dogs like Pebble. Please consider donating to help with Pebble’s medical expenses. Any donation would be greatly appreciated.